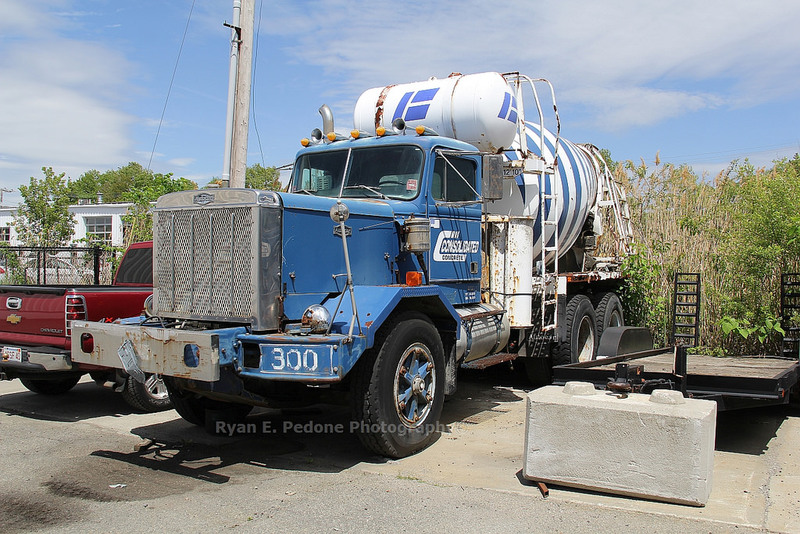 Rhode Island might be the smallest state in the union when it comes to square footage but they might just have some of the best taste in ready mix trucks. 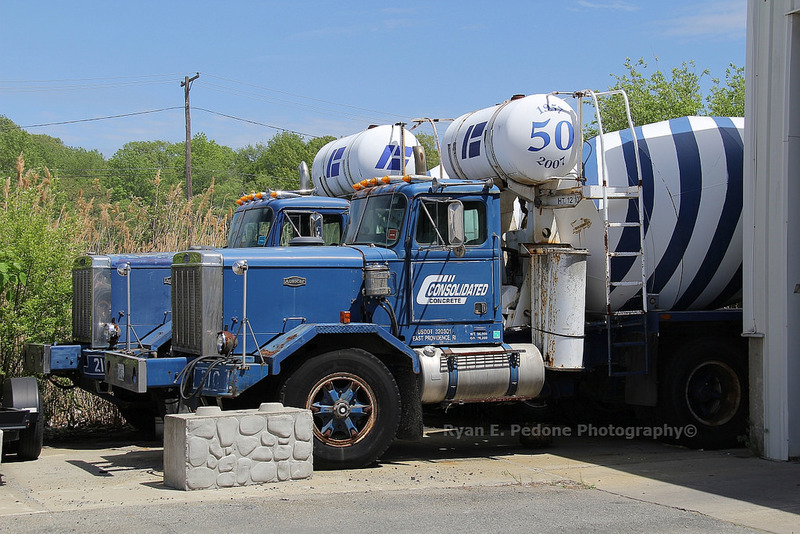 Check out this fleet of Consolidated Concrete. Yeah, this aint some 1988 promo photo this is from now, like June 2015 now. I’m packing up my bags and moving to Rhode Island! And for an extra special treat how about his old girl. Age, vintage, model are all unknow. The water tank reads Worthington. Have a guess? Let me know in the comments below. Thanks Ryan for the share. Believe it or not he found even more A-Cars in journey. Come back soon to find out out what’s next. 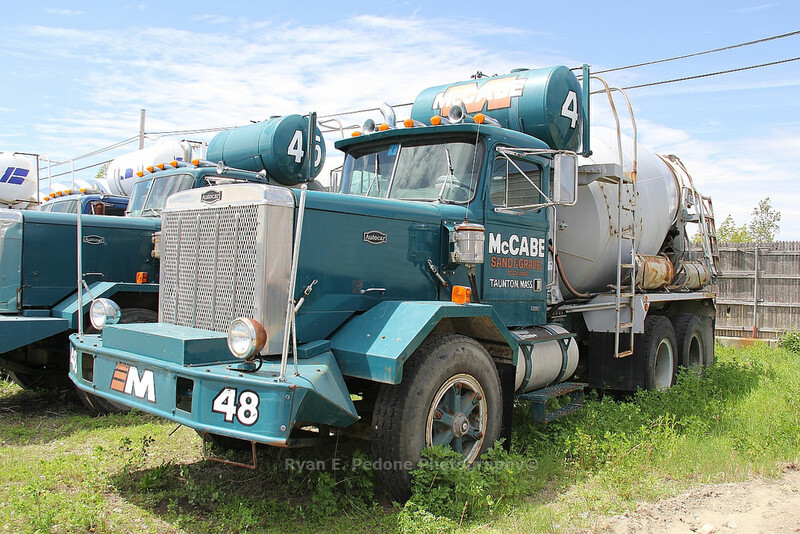 This entry was posted in Autocar Trucks and tagged autocar cement truck, consolidated concrete. Bookmark the permalink.